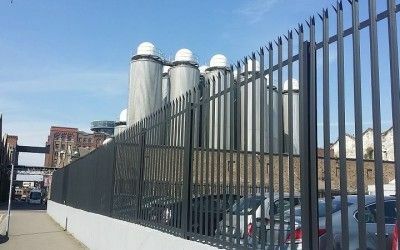 Irfen™ Palisade Fencing & Gates. 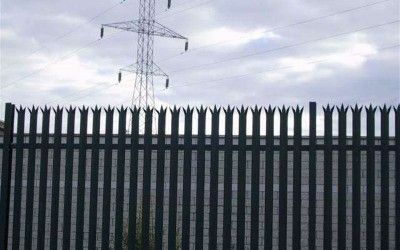 Irfen™ Palisade in Kit form; That is loose Pales, Rails, and Posts assembled on site using anti vandal bolts. 2400mm High Galvanised Finish Ex Stock. 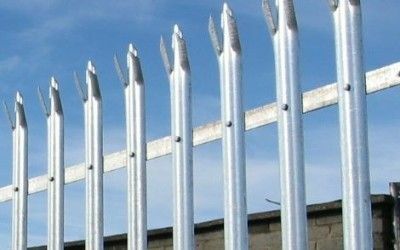 Designed for security applications where the risk is from determined attack or where there is a serious risk to the life of an intruder. 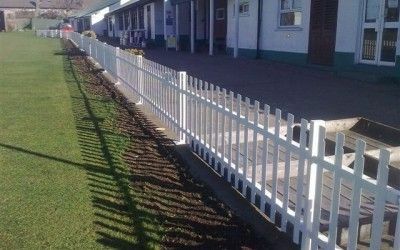 Irfen™ Rounded and Notched Palisade Fence is designed for use in situations where the Triad Top is not appropriate.